Natasha Devon is a writer and TV/radio pundit who has authored a number of best-selling books in collaboration with psychologists, as well as ghost-writing celebrity autobiographies. 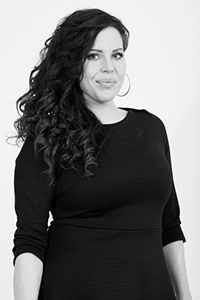 One of the founders of the Self Esteem Team (SET), Ms. Devon writes a column for the Times Educational Supplement (TES) and is a body image expert for BBC Breakfast, Sky News and ITV’s This Morning. Natasha is the government’s Mental Health Champion, working closely with the Department for Education. As the ‘mind’ of SET, she is a political animal, usually found at Parliament. She was one of Gok Wan’s mentors for Channel 4 series Gok’s Teens: The Naked Truth. Natasha recovered from an eating disorder in 2006. She was left feeling that the illness robbed her of the potential she had as a healthy, confident 17-year-old. She didn’t want any other young person to sacrifice their own potential in the same way. Following therapy, she went on to interview hundreds of students, and — with the support of Hertfordshire & Essex High School (for girls) and Bishop’s Stortford High School (for boys) — she produced the blueprint for what is now SET's body image class. Natasha regularly attends conferences on body image and mental health, including those hosted at Parliament by the APPG. Natasha’s book Fundamentals: A Guide for Parents & Teachers on Mental Health & Self-Esteem (co-authored with counsellor Lynn Crilly) was published in 2015. 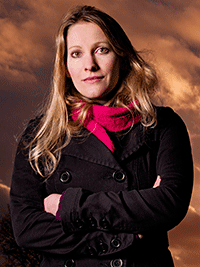 Laura Bates is the founder of the Everyday Sexism Project, an ever-increasing collection of over 100,000 testimonies of gender inequality. The project has expanded into over 20 countries worldwide and become internationally renowned, featuring in media from the New York Times to the Times of India. Laura writes regularly for the Guardian, TIME magazine, Independent, Grazia, Red Magazine and others. She was the recipient of the Georgina Henry Women in Journalism award for Innovation at the 2015 British Press Awards. Ian Morris is Head of Well-Being at Wellington College. 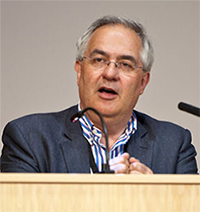 Ian introduced the well-being curriculum at Wellington in 2006 and has since written two editions of Teaching Happiness and Well-being in Schools (Bloomsbury) and has co-authored a book on character education in primary schools. Ian also teaches Philosophy and Religion at Wellington, where he lives with his wife and two young children. Dr. Bob Stephenson joined the Eton staff as an assistant Master in 1983 following a period of doctoral and postdoctoral research in the field of psychopharmacology. He has held the positions of Head of Biology, Head of Science, House Master, and Senior Tutor and was appointed to the position of Lower Master (Deputy Head) in 2003. Currently Dr. Stephenson is engaged in a number of research projects in collaboration with the Oxford University Centre for Emotion and Affective Neuroscience and the Behavioural and Clinical Neuroscience Institute, University of Cambridge. These projects are looking at cognitive bias modification and risk taking behaviour in adolescence.